For most of the people, they see beauty in art if there is complexity and story behind it. Yes, that can easily be agreed upon however not in all cases. See, there are some art that took advantage of simplicity and symbolism that made them astonishing in their own rights, even at par with the most realistic masterpieces out there. Check out the geometric art designs. Who knew that art can be created by just combining lines and simple polygons? Actually, the technique is not something so novel or out of this world since all visual art really starts with a line or a dot. Geometric designs are applied in different mediums and one of which is tattoo. Geometrics are very popular in the tattoo world since it is easy to create yet it produce meaningful outputs. Less pain, great satisfaction they say. 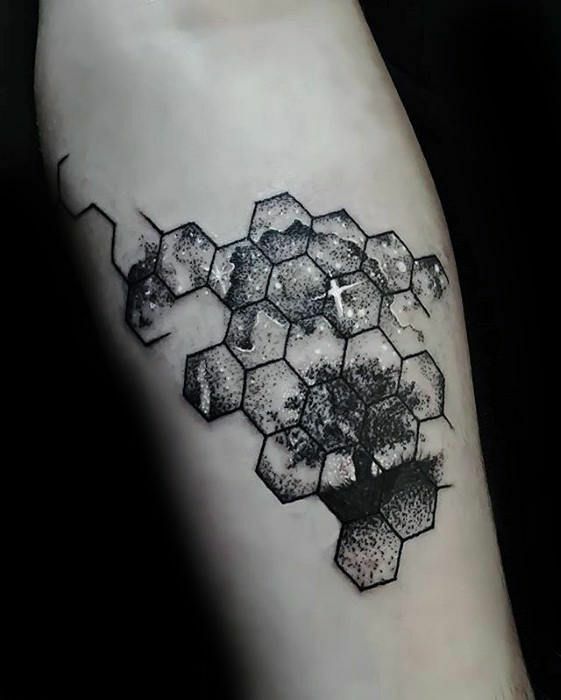 For everyone’s appreciation, we gathered 30 unique and awesome geometric tattoos which everyone can replicate if they are into tattooing. It may or may not have symbolism of meaning to you when you get one, however, one thing’s for sure, it is undeniably a thing of beauty in all eyes.